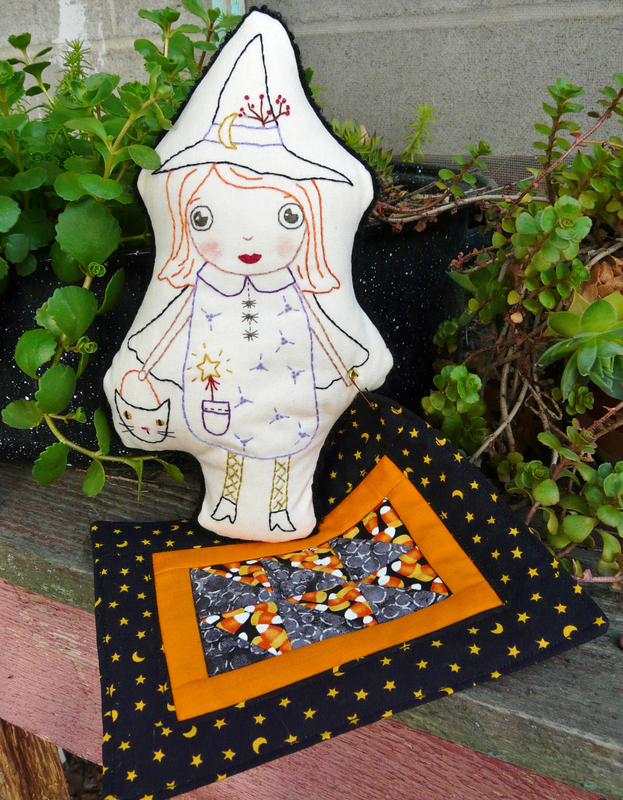 Stitch up the sweetest little witch... perfect for your Halloween decor. She is carrying her treat bag and has her own mini quilt. 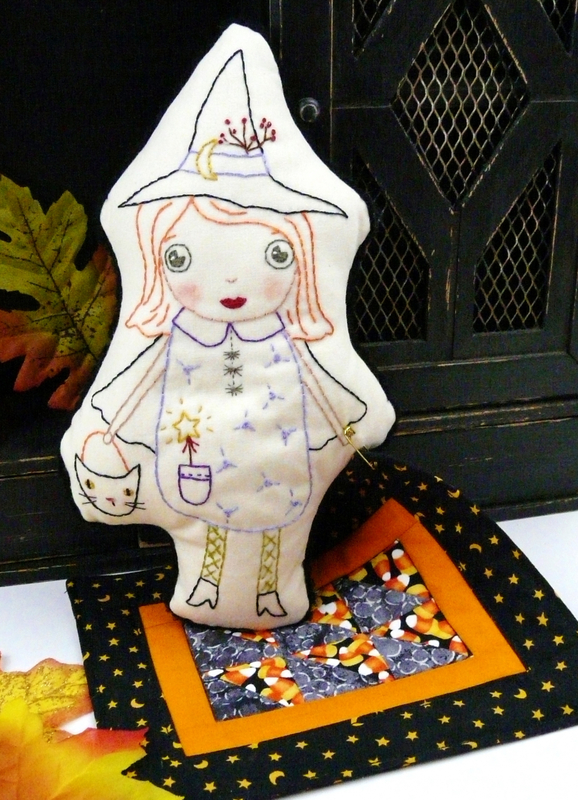 This is the 2nd of a series of Halloween dolls... embroider up the whole collection! 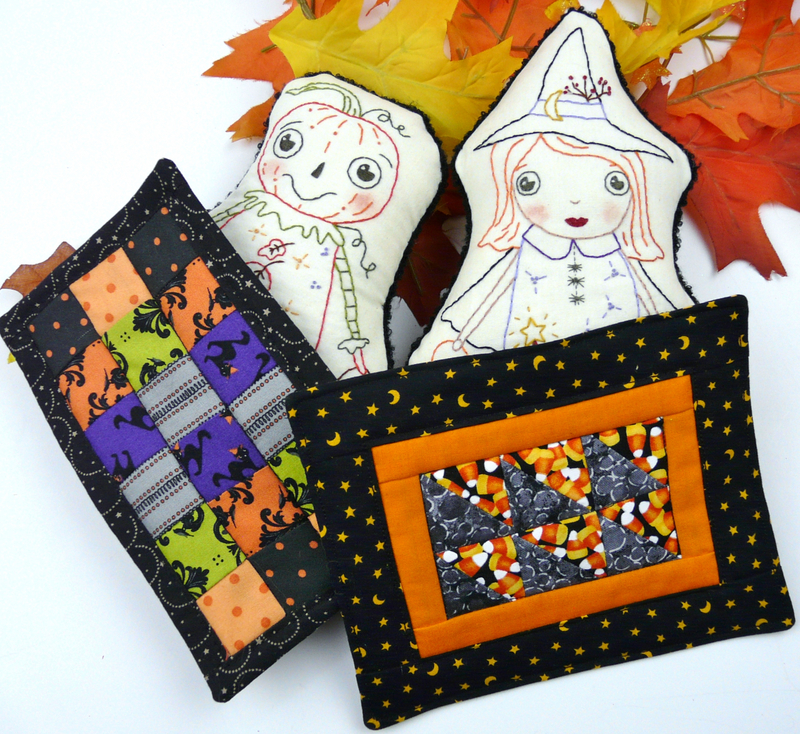 ....or imagine the kids playing with these characters....more designs are coming very soon....a pumpkin man, Frankenstein, vampire, zombie and more! 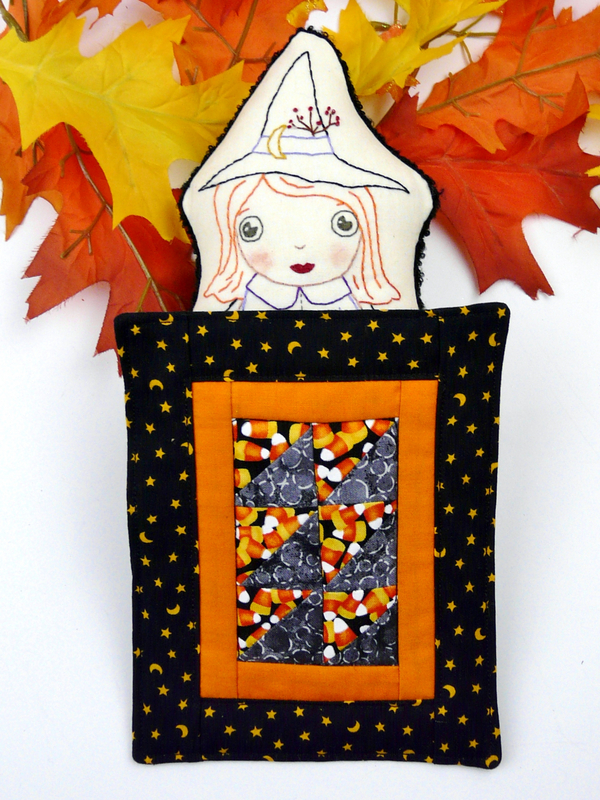 Finished Embroidery doll measures: 4 3/4" x 9"
Mini Quilt measures: 5 1/2" x 6 3/4". 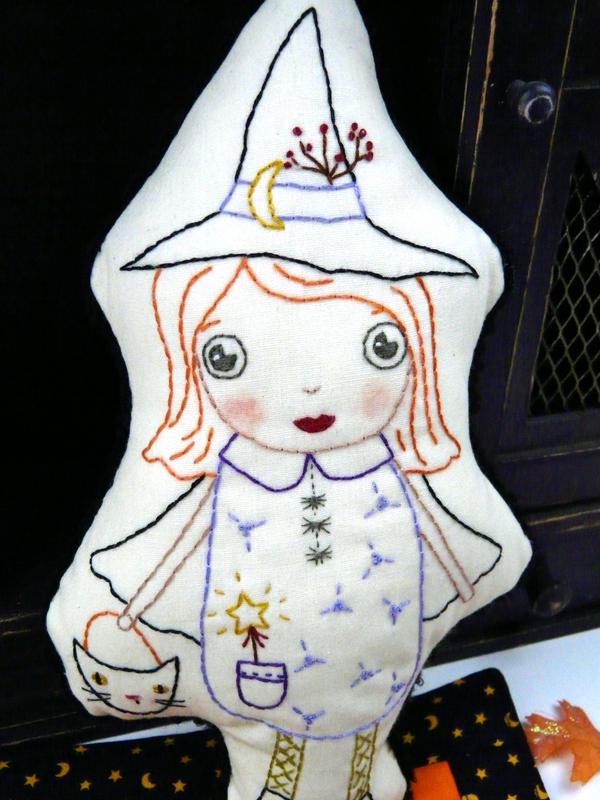 There are other dolls in this series!